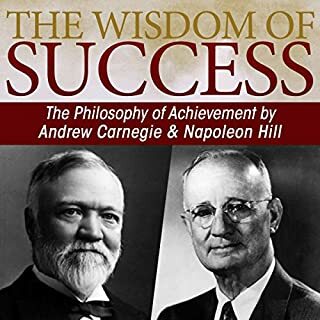 This is the original interview between Andrew Carnegie and Napoleon Hill. Hill used this interview as the basis of his world famous book Think & Grow Rich. Where does The Wisdom of Success rank among all the audiobooks you’ve listened to so far? Very well structured, no fluff and to the point. Other books seem to have a lot of filler, everything in this is rich in information. What other book might you compare The Wisdom of Success to and why? If you have read Think and grow rich (you should) this is a must read as well. There is a structure to success or at least a way to maximize your chances of it. We live on emotions. There are 7 positive and 7 negative. Try to stay away from the negative ones and have the positive ones as much as possible.